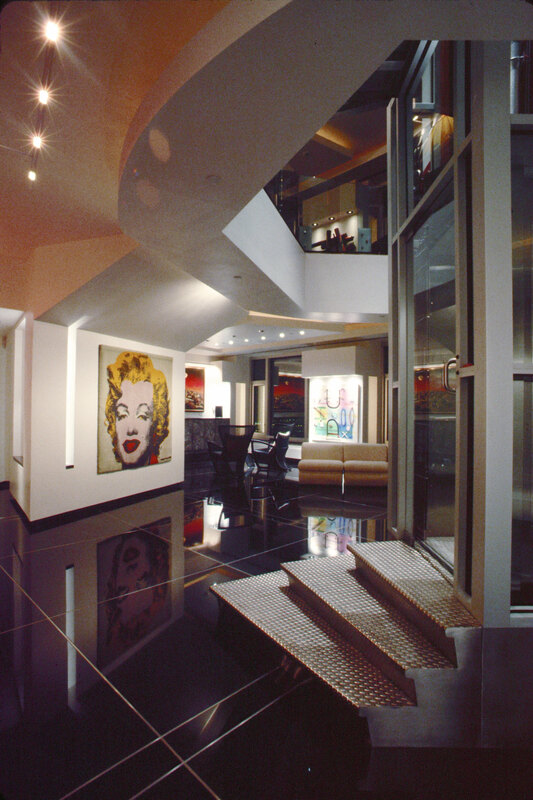 The clients desired gallery space to display their extensive art collection within their two-story penthouse residence in a Michigan Avenue high-rise. 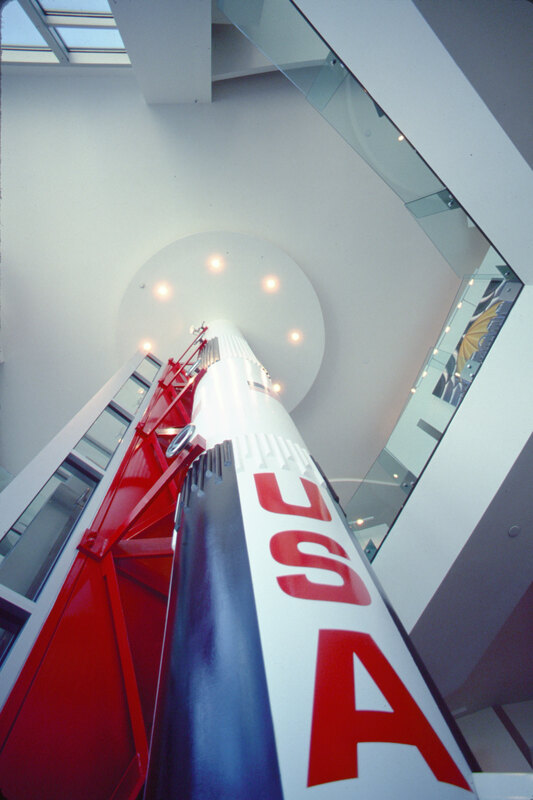 An atrium was created within the two-story volume, yielding opportunities for viewing artwork from multiple vantages. The second level is enclosed above with glass railings, while the first floor is anchored by a stainless steel elevator. 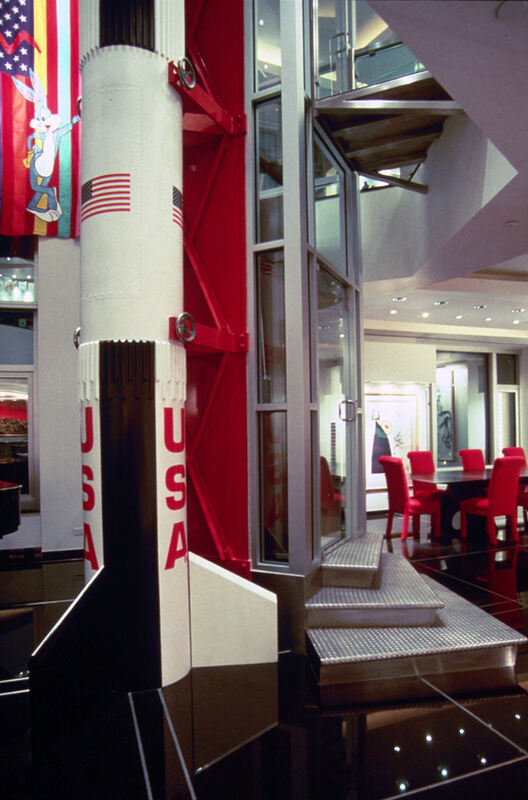 Nicknamed the Rocketship Residence, a structural column was whimsically transformed into a Saturn V rocket.